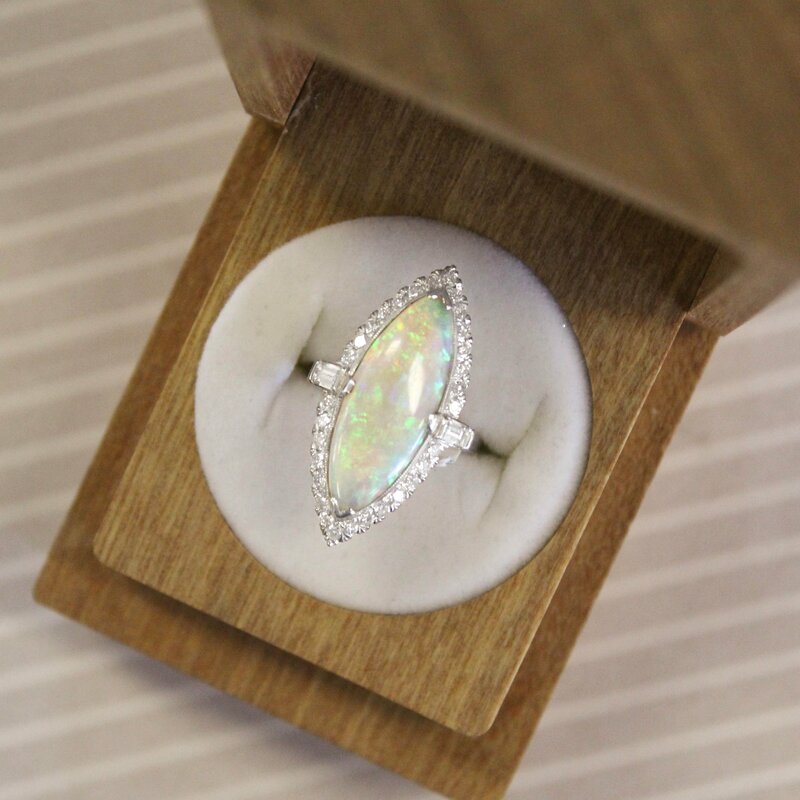 Opals make a less expected focal point for an engagement ring, but we’ve seen a steady rise in couples seeking vintage opal rings. 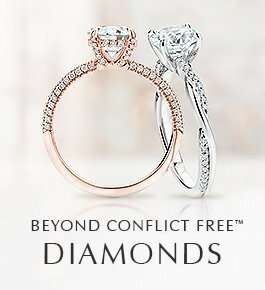 We suspect these couples love that opal rings are a distinctive choice, while still possessing a timeless beauty. 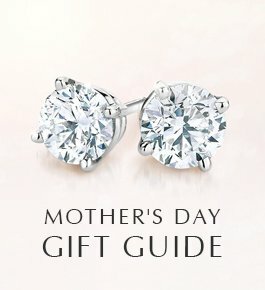 Because of the unique way they feature multiple colors within a single gemstone, opals are mesmerizing to behold. The word opal was likely derived from the Greek word “opallios,” which means “to be a change” and could refer to the way opals appear different from different angles. 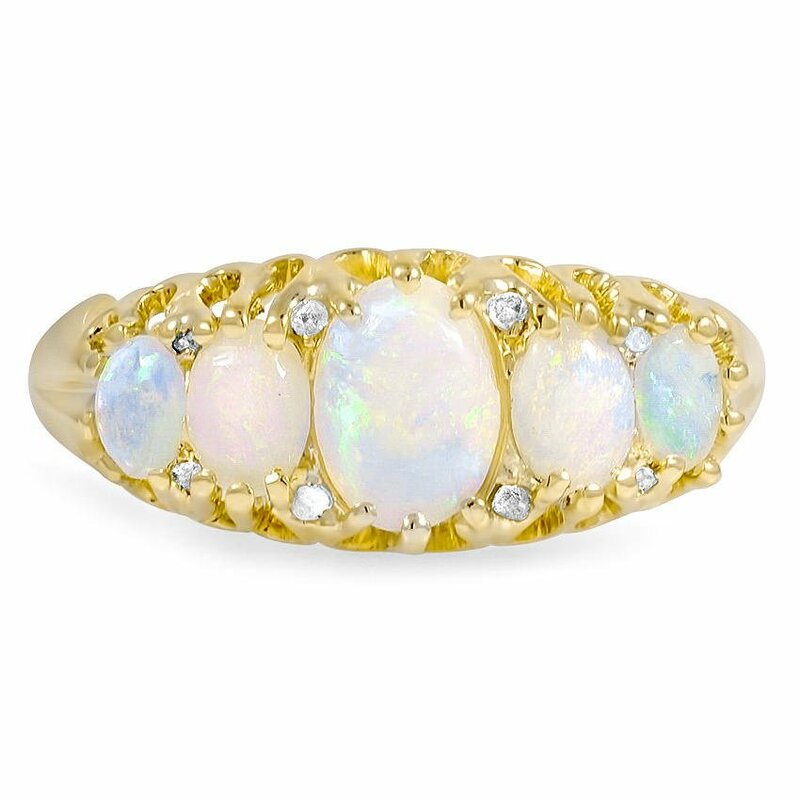 Opals have been prized since ancient times, when Greeks believed they gave their owners powers of prophecy and protection from illness. 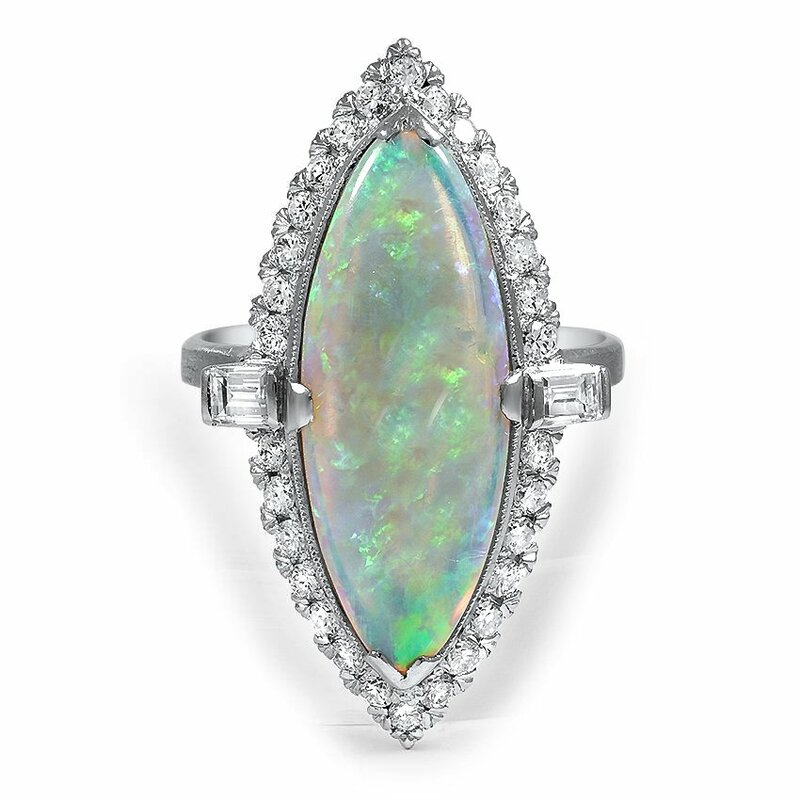 Ancient Romans considered opal to be the most precious gem, and Bedouins believed that opals contained lightning that fell to earth. 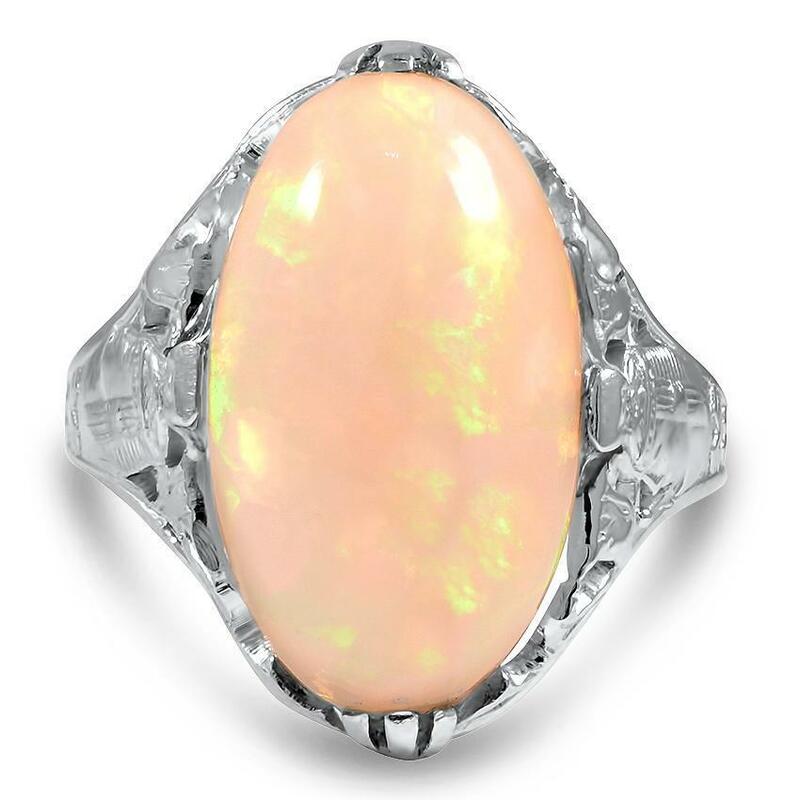 Opals became especially fashionable in Victorian England in the 1870s, after many were discovered in Australia. Jewelry lover Queen Victoria developed a passion for opals and gave them to her friends’ daughters as gifts. 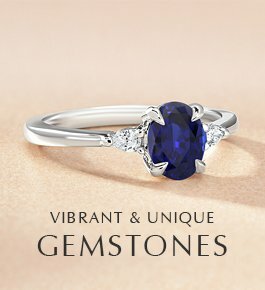 For that reason you’ll often see opals in vintage Victorian rings. 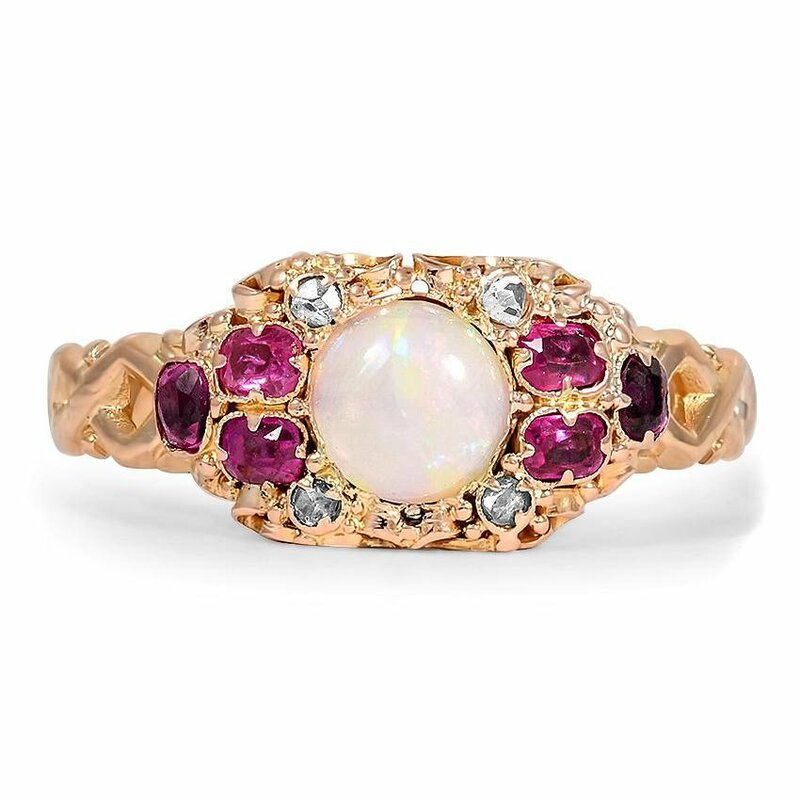 Opals were also popular during the Art Nouveau era, when artistic jewelry designers were drawn to these gems’ mysterious and romantic beauty. This marvelous Art-Deco reproduction features a distinctive marquise shaped opal. A storm of blues and greens plays in the opal cabochon, which is encircled by scintillating round brilliant diamond accents and a baguette cut diamond on each shoulder, making this ring even more captivating. 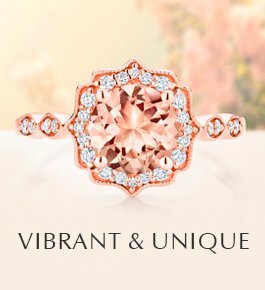 Retro luxury and Edwardian romance mingle in the Glasgow Ring. 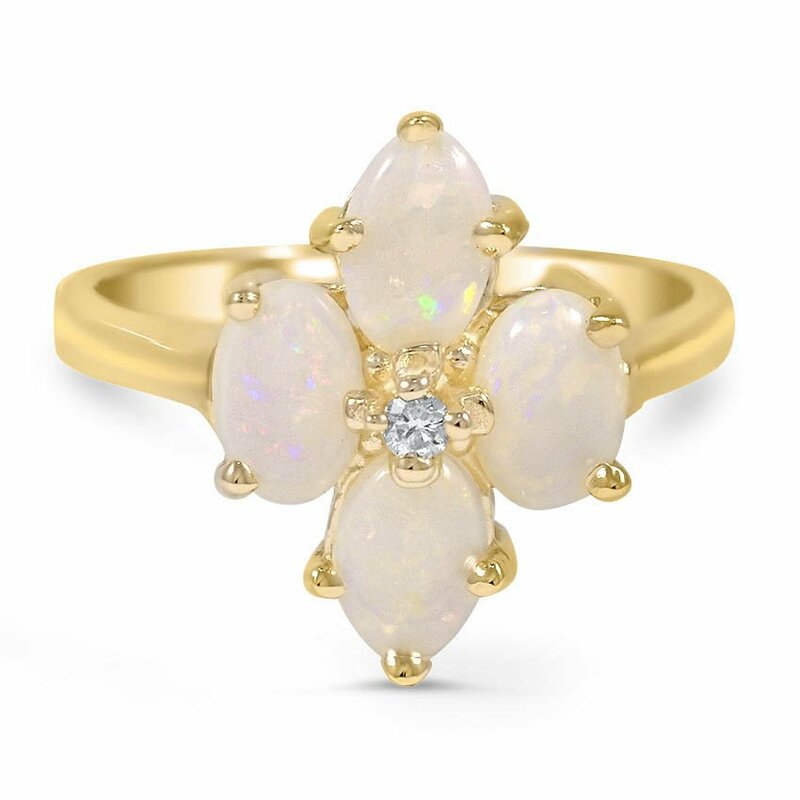 Five oval shaped cabochon opals are set delicately in yellow gold with eight rose cut diamond accents. 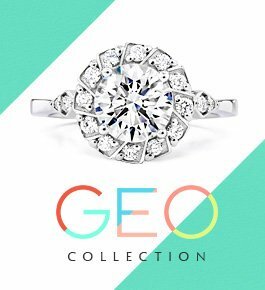 Designed during the glamorous Retro era, the Mindi Ring showcases opal cabochon lofted above a halo of glittering single cut diamond accents. 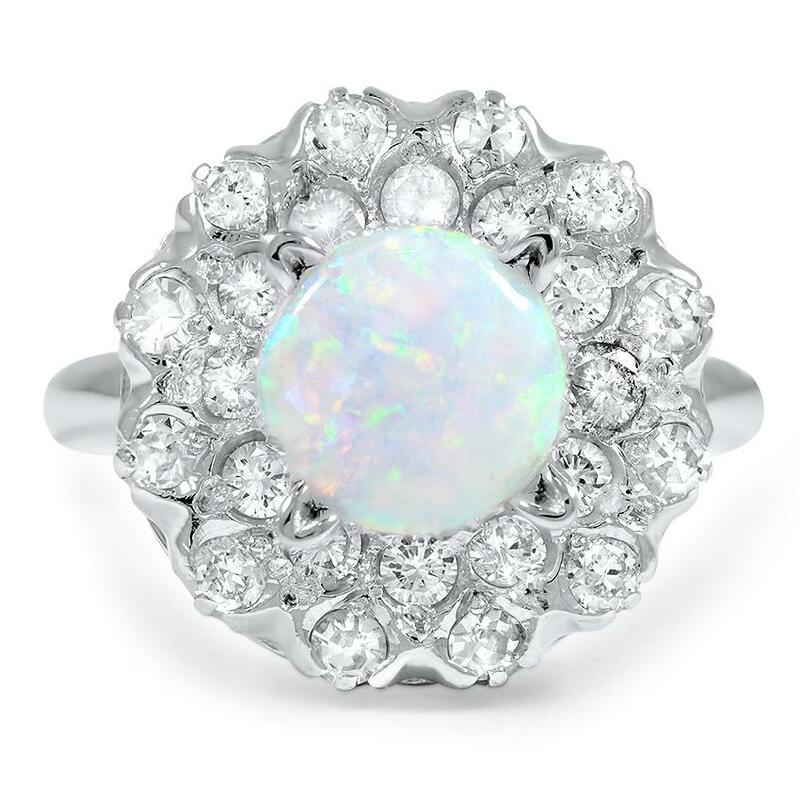 This breathtaking ring from the 1950’s features an oval-shaped opal cabochon as its centerpiece. Egyptian motifs adorn the shoulders in meticulously crafted metal detailing for a one-of-a-kind look. 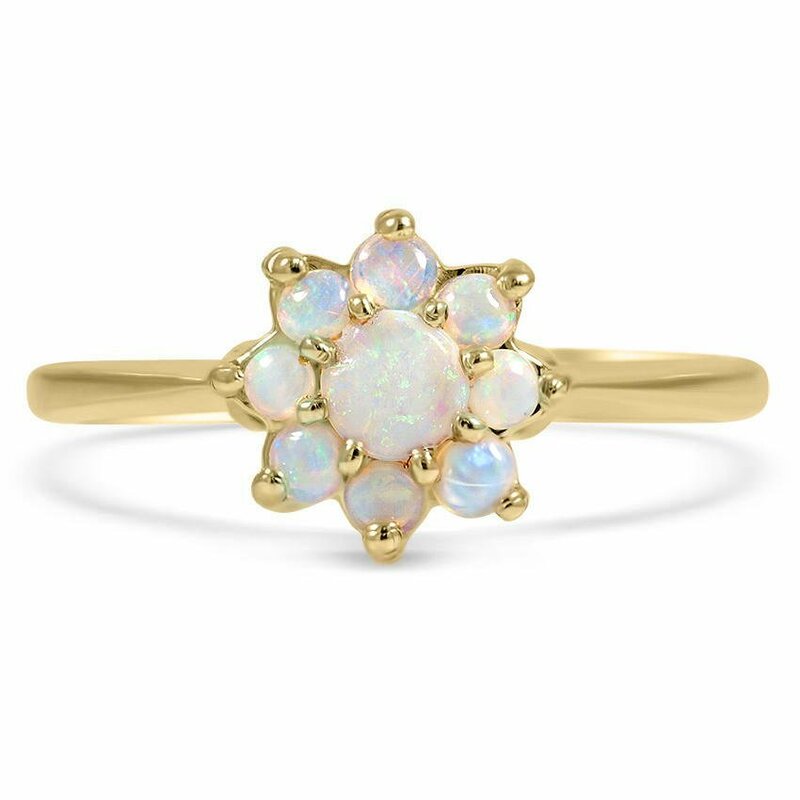 The delicate flower pattern created by 9 colorful opals makes this Retro-era ring a perfect vintage find. 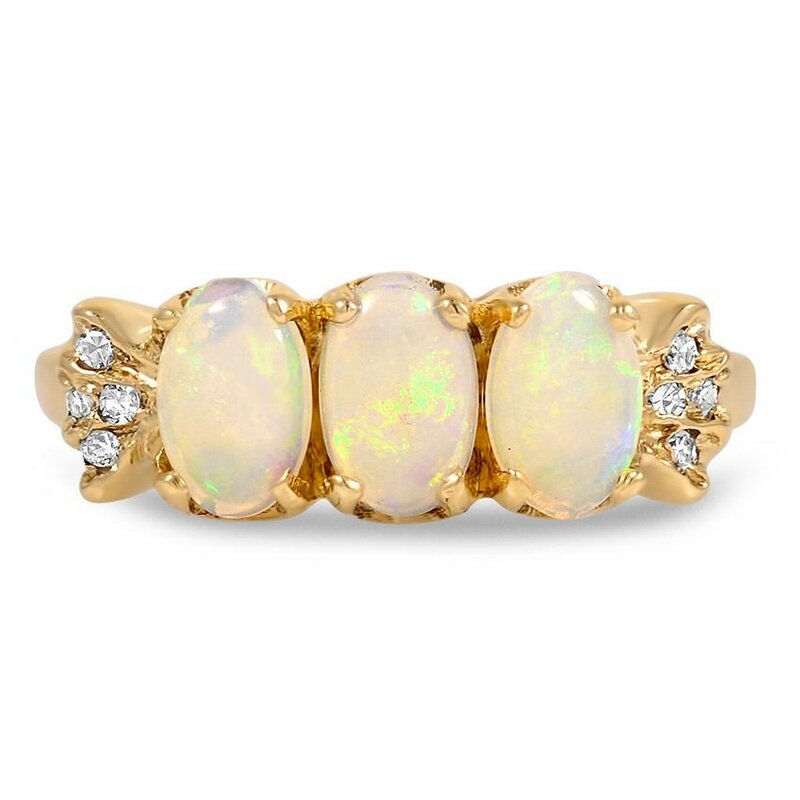 Three iridescent milky opals captivate in their yellow gold setting. 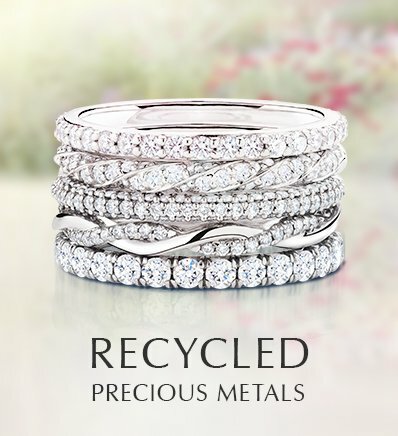 Clusters of round accent diamonds on each shoulder add sparkle and brilliance to this Retro-era ring. Do you love opals? 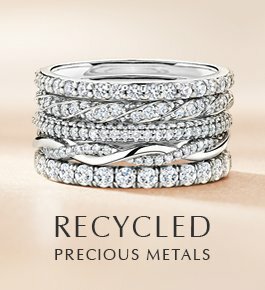 Which of these opal engagement rings is your favorite? 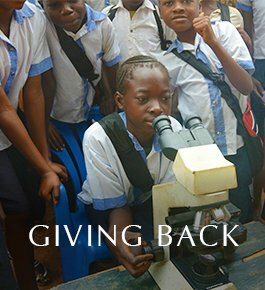 Let us on Facebook or Twitter, or in the comments section!